The energy bill working its way through Congress is not going to have mandatory controls on greenhouse gas (GHG) emissions; the Senate bill instead calls for voluntary GHG reductions, along with some subsidies for energy efficiency. In a speech here at the University of Michigan a couple weeks ago, U.S. Senator Carl Levin said that the Kyoto treaty was flawed because not all countries were required to participate; the U.S. would be at a competitive disadvantage. (He called for a truly multilateral approach.) In both these cases, then, there is an explicit unwillingness to require GHG reductions. Would unilateral action on climate change be a bad idea? On the other hand, there could be advantages to being an early mover on climate change. At least some of the GHG reductions are going to come from improved technologies in the electricity-generation sector and in transportation. 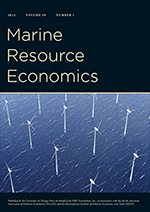 The literature on technological change spurred by environmental regulation suggests that more stringent and more costly forms of regulation are likely to produce more innovation than less costly measures. If we acted unilaterally, we might create technologies that other countries would eventually want to buy; if we don’t act, we might have to buy the technologies from them. (This scenario assumes either that the new technologies will be financially superior to our existing measures, or that the world will somehow demand more energy-efficient technologies in the future.) Tim Haab’s recent posting provide a slightly different view (from the CEO’s seat) of the same phenomenon. Would the U.S. be worse off if it decided to impose GHG emissions limits on itself? In the short run, there would be added cost to economic activity here, and some of that activity might shift elsewhere. In the longer run (a few years to a few decades), we might appreciate the increased technological innovation at home that might lead to cost savings. Not to mention the benefits of reducing GHG emissions.